I have had a large number of people recently inquiring about the TARP Module in Optimum, so it’s timely to provide a brief about what TARP is and how it works. 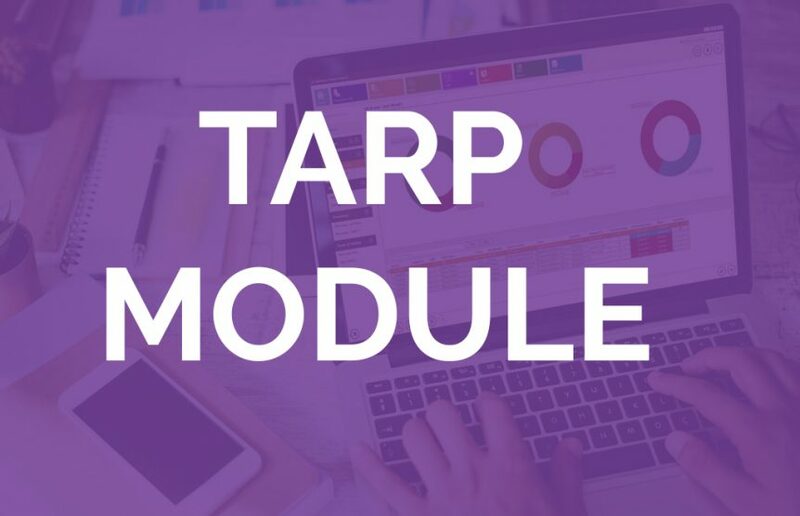 Firstly, TARP is one of six modules in our Optimum Software suite. For those who don’t know yet, Optimum is the latest solution in how to maximize production, productivity, and efficiency from heavy assets such as mining, oil and gas, pulp and paper and cement to name a few. TARP integrates with the other six modules but can also be a standalone module as required. TARP (Trigger Action Response Plan) is not a new concept; however, the way it works inside of the Optimum Software suite is new and quite innovative. TARP is basically a lite Continuous Improvement module that automatically categorizes and classifies losses into appropriate levels for action based on some defined business rules. As an example, let’s say we have Optimum Software installed on a Gold Process Plant. We have an unplanned event causing 150 Oz of Gold loss, based on some defined TARP rules; TARP will automatically trigger and assign an appropriate investigation for this loss, which can be aligned with your sites existing Improvement framework. Now I’m sure about now, some of you will be thinking, my asset delay accounting system doesn’t have the smarts to automatically calculate lost production in Oz of Gold! Don’t worry; TARP can use simple downtime as well. In Optimum TARP also uses other inputs from CPEM, but that’s another story. Now let’s say for this example TARP categorizes the unplanned 150 Oz Gold loss as an RCA. TARP automatically captures the information from the loss event and turns this into a well-defined RCA with durations of loss, production impact (150 Oz Gold), time of loss, area, cause equipment (Pumps, Conveyor, etc), discipline classification such as Electrical, Mechanical, Reliability, Metallurgy, etc. TARP also automatically starts an investigation timer according to your business rules. In this case, an RCA has 28 days for the investigation to be complete. The clock starts ticking now. TARP now allows a nominated person(s) as the Facilitator (Typically the CI lead, Reliability or Metallurgy lead) to assign the triggered RCA from within the system to any individual. Let’s say the lucky engineer who has been assigned the RCA is called John. John will automatically get this RCA in his “My Actions Tab” within the TARP module. John can perform the investigation and store the important information about the RCA within the TARP action. If required, John can raise follow up linked RCA actions to other team members to help him complete his RCA. Now TARP doesn’t just have the smarts for automatically triggered events or losses such as John’s RCA. Everyone has the ability to raise a manual action in TARP. Perhaps your site decides to run a cost reduction idea generation session with the maintenance team, and they come up with a list of the top 10 cost reduction initiatives. TARP is the ideal place for these actions to live, and like before you can store documents, pictures, and spreadsheets against these actions as evidence of completion, or simply a record of what was done. These actions are assigned to individuals and can be found on the “My Actions Tab” under the individual's login, or under the all actions section that shows everybody actions and the status. Because you have used TARP for the manual actions relating to the cost reduction initiative, and the RCA relating to John’s lost production. TARP is now your repository for all of your investigations and Improvement actions; you now have one simple place to find all of your history on action both complete and in process, as well as the ability to manage time frames and people’s Improvement commitments. Optimum’s analytics module also lets you see how the site’s TARP module is performing with some simple analysis dashboards covering, how many automatic events have been triggered, how many manual events were raised, what’s completed, what’s late, who’s falling behind. This gives you real business insight into how your Continuous Improvement program is shaping up, as well as highlighting who needs further support. The TARP dashboard really gets traction when it’s not just on a user’s PC, but up on the wall with visual displays for everyone to see. This way everyone knows what’s important in your operation. Another good way to use TARP dashboards is at the daily, weekly and monthly meetings. The TARP dashboard provides the ideal platform and forum for reviewing the Continuous Improvement initiates across the site, and engaging support where required to get actions completed fast. So in a nutshell, TARP is a lite Continuous Improvement module that fits into the Optimum Software Asset Optimization suite. TARP is designed to support increasing production, productivity and efficiency across heavy assets by providing the framework for capturing Improvement initiatives and actions, using either an automated process around asset performance or people power through ideas and initiatives. TARP collects, categorizes and manages actions for ongoing Continuous Improvement. Click here to learn more about TARP or contact us for more detailed information.